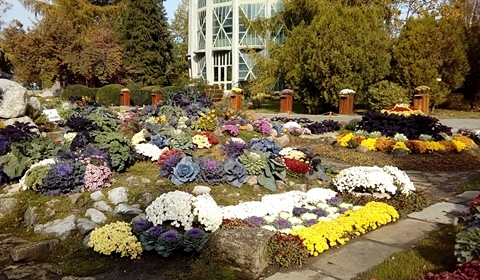 THE ANASTASIE FĂTU BOTANICAL GARDEN in Iași, Romania, founded in 1856, has a rich history. 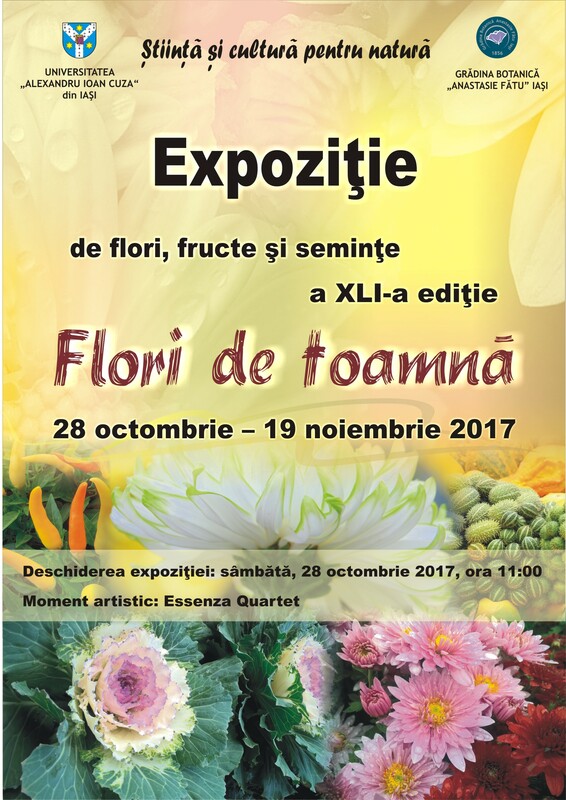 And it is one of the establishing members of the Botanic Gardens of Romania Association. These are some of the reasons I wanted to visit it during a recent trip to Iași. 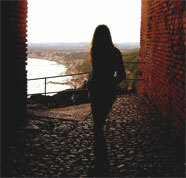 Well, the above, and I had also heard of its beauty from friends. 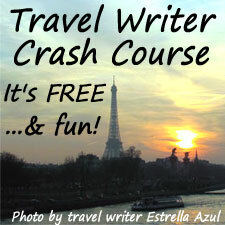 As I arrived, a beautifully-colored flyer greeted me on the gate and ticket booth. 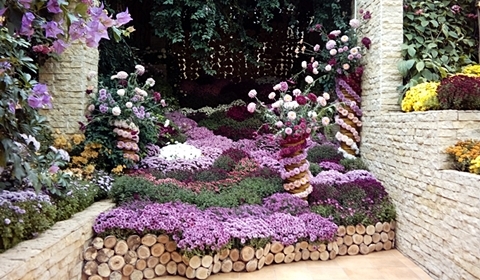 It read “XLI Autumn Flowers Exhibition,” and it was scheduled to start the following day. Since I was already there I went in for a walk, but I decided I would go back the next day also to see the exhibition. 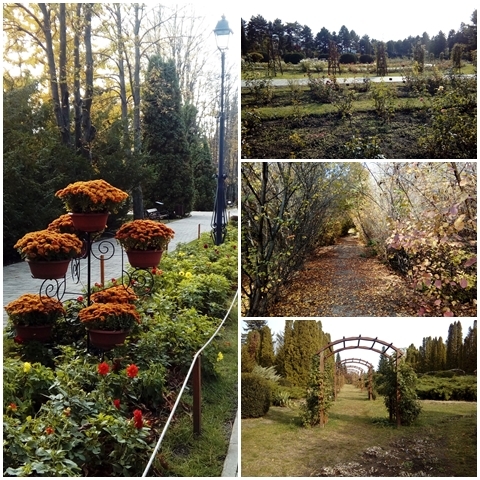 The garden has ten main sections—Systematic, Romanian Flora and Vegetation, Ornamental, Dendrological, World Flora, Biological, Useful Plants, Greenhouses Complex, Rosarium, Moldavia Sylvosteppe—most of which are also divided into sub-sections, on approximately 80 hectares of land. Although I couldn’t cover all of those hectares, I took a long, half-a-day walk through most of the sections and can say that I really enjoyed what I saw. 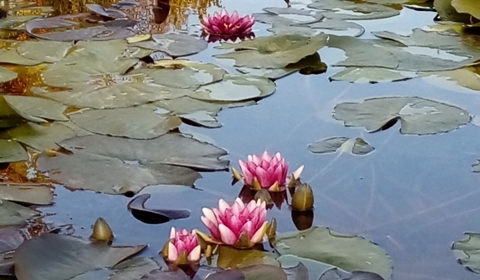 One of the most pleasant surprises was finding blooming waterlilies. I didn’t expect them to be blooming in November, outside, and didn’t even know they came in dark pink also. They were in the middle of an amphitheater-type setting with a large stage, where I can imagine lectures for the university students or even poetry readings for the public being held. The rose garden was another one of my favorites to walk through. 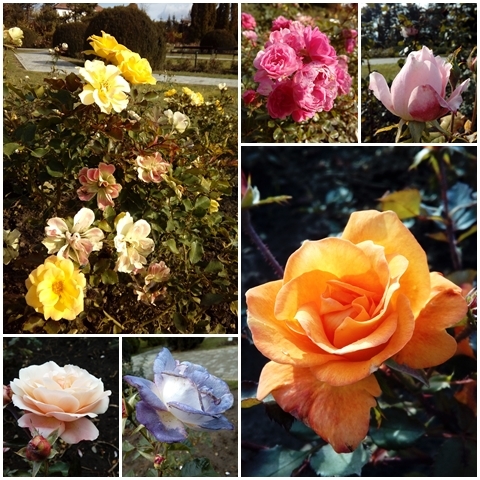 Being November, many of the roses have passed their blooming time, but there were still quite a few beautiful ones to admire. The colors were amazing! 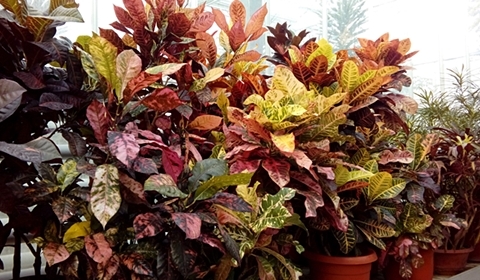 Twenty-one greenhouses are home to a variety of Mediterranean, exotic, useful plants, palms, cactus, tropical plants as well as azaleas and camellias. Only eleven of these greenhouses are actually open to the public. They are beautiful and one can get lost admiring all that is on display. In one section there are even little arrows pointing which way to go, placed for maximum delight and so you don’t miss anything if you happen to double back. 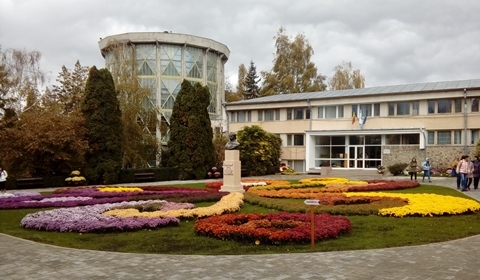 The garden collaborates with many institutions from 80 countries all over the world, including the Debrecen University Botanic Garden, which I have written about on Milliver’s Travels in the past. What I call The Butterfly Lounge Area was very cute. 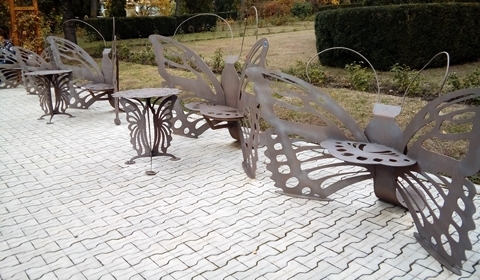 I loved how even the table legs were made of butterflies. They were comfy, too. 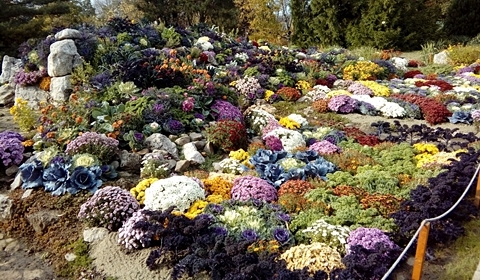 The Autumn Flower Exhibition was gorgeous! 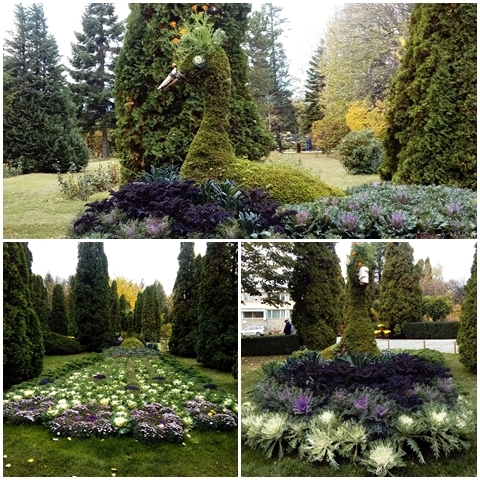 As far as flowers and plants go, the exhibition mainly consisted of chrysanthemum, ornamental cabbage and kale, and these were arranged into the most beautiful and clever designs along the path toward the indoor exhibition. 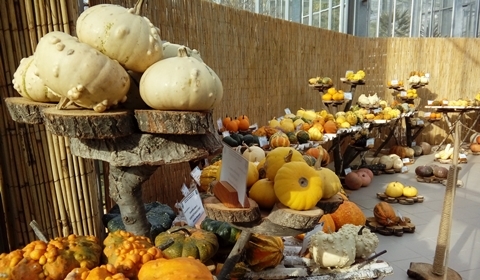 There were also quite a few statue-type decorations made of ornamental cucumbers, different types of berries, leaves, and decorative pumpkin and squash. 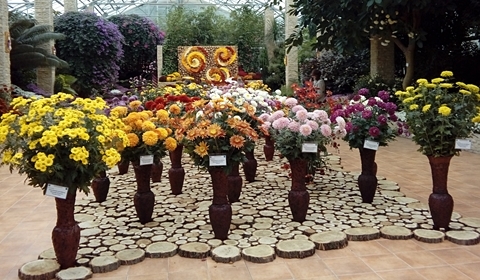 There was a greenhouse dedicated solely for the exhibition where, among bushes and shrubs, one could find chrysanthemums in cut form displayed in large vases in the center of the room, as well as potted chrysanthemums in lovely arrangements displayed by color on the sides. In another greenhouse, the ornamental cucumbers, berries and squash and their seeds were on display with their names next to each. There must have been hundreds of varieties in there! On my way out, I took in all the colors again and noticed something I’d missed before. What I deemed as a “simple” pretty outdoor chrysanthemum and ornamental cabbage and kale arrangement turned out to be a peacock! It became my favorite of all the arrangements I saw that day. 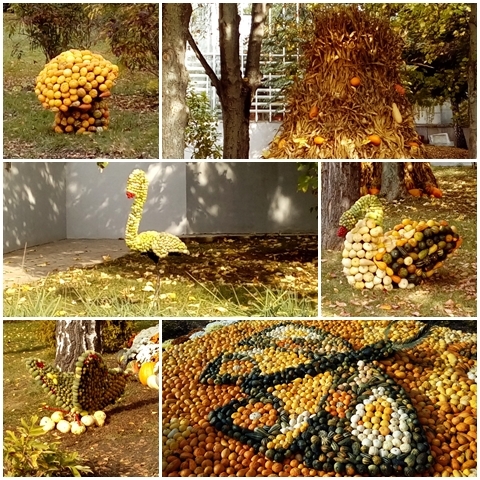 If you ever fancy a visit to Iași and the Anastasie Fătu Botanical Garden during autumn, try to time it so you’re there during the Autumn Flowers Exhibition. Taking in so much color and beauty during the few hours spent there was one of my best choices.